I have been using Moto G Turbo as my primary phone for the last 4 months. I must say I am a very heavy internet user I use both Wi-Fi and mobile network for my work. My Moto G Turbo also act as a portable hotspot for me when I am not at home. Sometimes I have to charge my phone two times in a day but thanks to quick charging it usually takes 1.5 hours to charge it completely. After all these my phone still acts just like a new one and battery life has not been degraded a little. From last two weeks my phone is always connected to the power bank, 3G mobile network and GPS due to the Pokémon fever. As you already know that Moto G Turbo runs on Snapdragon 615 with 2GB of RAM. The IP67 rating of Moto G Turbo protects the phone from water and dust. Performance of the phone is excellent and the phone doesn’t lag anywhere while switching between apps however when you use the phone in Indian summer where the temperature touches 45 degrees phone start to hang a little but not much. Camera is amazing and the camera lens is made of glass which is still not scratched. 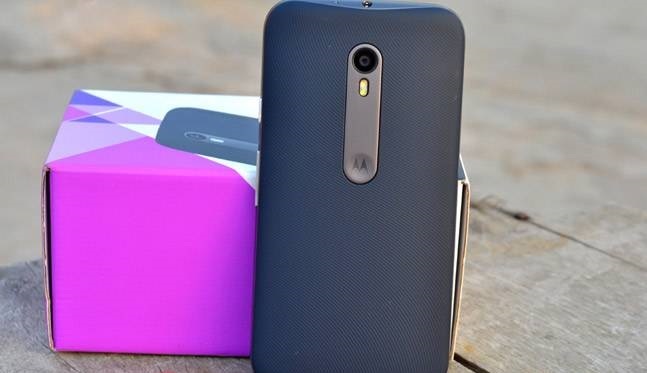 Some phone uses plastic lens in the rear camera but moto g turbo doesn’t. Coming to 5” screen I use screen protector so there is no chance of scratch however the screen is protected with Corning Gorilla Glass 3 which doesn’t get scratched by normal objects such as keys but it can be scratched by sands in you pocked so make sure to use a screen protector for your phone. You can easily get a full day of battery from the Moto G turbo with normal usage in my case If I use Wi-Fi instead of the 3G network it can give me a screen on time of approximately 5-6 hours once I even got a screen on time of 7 hours with single sim and using Wi-Fi for my internet connection. Battery Life also depends on the applications that you have installed some apps like Facebook and messenger are battery killer they use a lot of RAM and battery in the background. Make sure delete unwanted apps from your phone. Go to Settings>Battery to see which apps uses the battery most you can disable background data for them. The clean interface and stock Android also helps the phone to save battery. At last I think you will not get any other phone with IP67 rating in this price range.